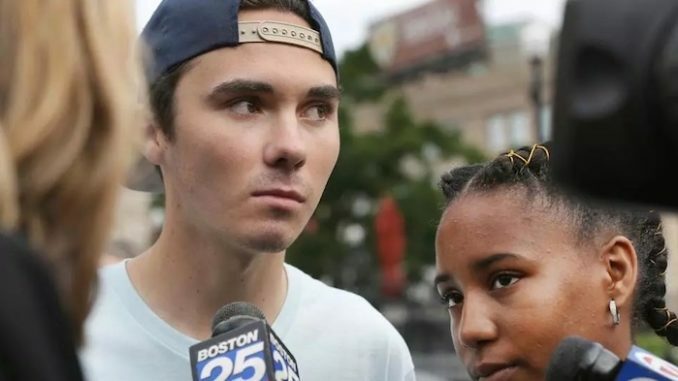 The FBI has been urged to investigate the Harvard admission of David Hogg by conservative commentator Candace Owens. Owens alleges that Hogg’s application may have been fraudulent. “While on the topic of fraudulent college admissions… I wonder if our @FBI will take a look at David Hogg’s acceptance into Harvard University. That’s got to be the biggest University scam of the decade,” Owens Tweeted on Wednesday. Thisisinsider.com reports: After surviving the shooting in February, which took 17 lives, Hogg became one of the leaders of the March For Our Lives movement, which demands gun law reform and recruits young people into political activism. He took a gap year after graduating in June to focus on March For Our Lives instead of going directly to college. His activism has made him a lightning rod for criticism on the political right. Fox News host Laura Ingraham, for example, mocked him after four colleges rejected him. Somewhere in the middle of all of this, TMZ reported that Hogg had a 4.2 GPA and got a 1270 out of 1600 on the SAT. Now that he’s going to Harvard, Hogg’s SAT score has become a flashpoint for his critics. It’s well below the usual score for the Ivy League school — the average score for admitted students is 1520, according to Prep Scholar. To others, Hogg’s admittance to Harvard showed just how silly the SATs are. If a teenager helps lead a national political movement and has an extraordinary GPA, what does it matter if he doesn’t do well on a standardized test?